It is very often that users lose their photos and other multimedia files due to negligence or lack of proper handling knowledge of the digital media. Moreover, there are also situations, when users further damage the troubled storage media and lose all their data permanently. 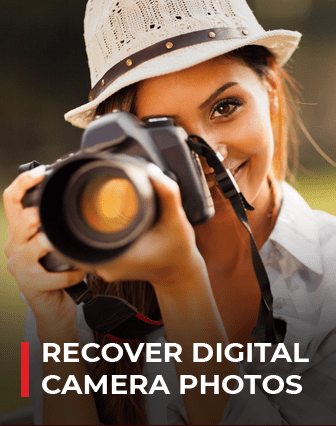 Hence, when it is the matter of your memorable photos containing cherished memories of life time, you must not mind following few digital image recovery tips to safe-guard them. Stop using troubled media: Once you know that there is some problem with your storage media and you have already lost some of your precious photos to it, stop using the same immediately. The more you use it, chances are there that the files will get overwritten and thus never can be recovered. Check connections before recovery attempts: Prior trying any photo recovery operation, ensure that the memory card is properly connected to computer via a recommended USB card reader or PCMCIA adapter. Never disconnect media while transferring files: Every digital storage media has a file system in it that keeps updating the file entries while saving, deleting or transferring files. Hence, performing any of these operations, if the connection is interrupted or disconnected, then the files in the media and their entries get mismatched. This results in the inaccessibility of corresponding files or the media. Avoid improper plucking of memory stick: It is important to note that when a memory stick, memory card in the card reader or any other USB media is connected to the system, it lies in a busy mode. This busy mode means that either the device is writing data/information onto the media surface or is ready to do so. Thus, any unexpected plucking of the media makes it corrupt. Create & keep image of storage media: There is no guaranty that your media will last and run for ever. Even if you have the best available storage media, it may fail resulting in the loss or inaccessibility of precious photos. So, it is better to create and keep a backup image of the media; so that in case of any problem, you can easily restore the lost files back. Take automated backup regularly: There is no doubt that these days many user take backup of their important photos, videos, and other multimedia files. However, unfortunately many among them still lost data to media failure and other forms of photo loss. In busy daily routine, it becomes difficult to remember and take backup, thus it is always better to automate the backup process. Always opt read-only recovery software: After encountering instances of photo loss, it is important to choose the right photo recovery software with read-only property. Software without the read-only property may over-write your photos and other files during the recovery process itself.